An October 2017 double-blind, placebo-controlled and randomised pilot study1 at the University of Almería, Spain appears to have been the first to evaluate the effects of probiotics in fibromyalgia syndrome (often abbreviated to FMS). 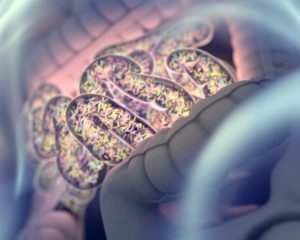 They looked at whether interventions with probiotics, in order to change the gut microbiota, could improve the symptoms of this debilitating disease. 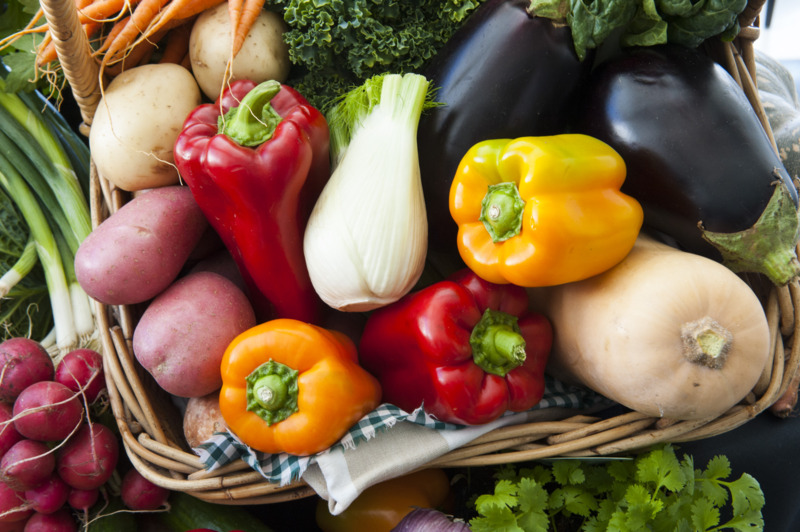 Their results may be very encouraging for those who believe that “you are what you eat” and would agree with that ancient sage Hippocrates when he said “Let food be thy medicine, and medicine thy food“. The studies covered in this blog are covered in an effort to provide a wide-range of research material and, hence, a range of viewpoints on the subject matter. My own personal opinions are expressed in [square brackets] throughout. FMS is a chronic, generalised and diffuse pain disorder accompanied by other symptoms such as emotional and cognitive deficits. There would be little surprise if gut microbiota were intrinsically linked to this condition when you consider that FMS patients show a high prevalence of gastrointestinal symptoms. 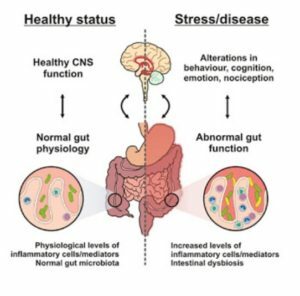 As pointed out in other blogs2 , gut microbiota are increasingly considered to be involved in the regulation of brain processes through the gut-microbiota-brain axis, thereby modulating mood, motivation, cognitive functions, and so on. This study used probiotics as a new treatment that could improve the physical, psychological and cognitive state in FMS; being that they found no other experimental evidence to substantiate or refute this possible therapeutic approach being used with FMS to date. Primary expected outcome: MS patients’ cognition will, after eight weeks of probiotic treatment, show a better performance on impulsive choice and decision-making, as well as on working memory and attentional control. Secondary expected outcomes: mean changes between baseline/post=intervention in body composition, pain level, and emotional state. Additional expected outcomes: changes in physiological measures – specifically, free cortisol concentration in urine and stool faecal samples. Previous studies with probiotics in populations with a great comorbidity with FMS, like CFS (chronic fatigue syndrome) and IBS (irritable bowel syndrome)19 20 21 , have reported beneficial effects after treatment in quality of life7 , pain severity22 , reduced inflammation23 , and emotional symptoms like anxiety24 . An October 2017 updated article in News: Medical Life Sciences25 makes some interesting observations about fibromyalgia and the small intestine. It points out that IBS has been linked to the occurrence of small intestine bacterial overgrowth (SIBO), a condition where normal colonic flora overgrow into the small intestine and cause disruption of normal intestinal bacterial patterns. The author considers that connection suggests that fibromyalgia is also associated with SIBO. The evidence for this is based on the finding that correcting the latter with antibiotic therapy also lead to clinical improvements in bowel symptoms in these patients. Mechanism 1 – Several studies are mentioned (without links) which claim that both fibromyalgia and IBS yield abnormal lactulose breath tests (LBT) – tests for bacterial overgrowth which is almost always positive in fibromyalgia patients. The idea is that endotoxins produced by overgrown bacteria are responsible for the hyperalgesia26) is an increased sensitivity to pain, which may be caused by damage to nociceptors or peripheral nerves.)) by increasing pain perception in the body. Mechanism 2 – Another mechanism of pain production is bacterial translocation, common in SIBO and results in production of endotoxins which provoke the production of the tumour necrosis factor, leading to systemic effects. Fibromyalgia and IBS have many common features as regards the bowel disturbances, but it’s also the case that there can be significant some variations in clinical features. What accounts for this variation? It could be due to differences in the host, or that different patterns of bacterial overgrowth may occur in different conditions. For instance, hydrogen breath testing in individuals with fibromyalgia shows a far higher level of hydrogen production when compared with IBS patients even when both are LBT positive27 , and this may reflect a larger number of small intestinal bacteria. The authors do state that the relationship between fibromyalgia, IBS and SIBO is still poorly understood and that more work is necessary.